Privacy Controls is a perfect tool for your private info protection. Do you know that many user's applications and your Operating System collects and stores information about your personally and your system's configuration? This helps to facilitate your using web services such as Customer's Support or any Internet shops. But there are many malefactors that will try to steal that information and use it for their own purposes. You must take measures to keep your personal data safe! Unlike many other applications, Privacy Controls protects your from potential threat by giving the malefactors nothing to steal! VIP Privacy lets you search and safely clean up all information stored inside your system and installed applications. It does not in any way delete any private files nor it changes the contents of user's documents. VIP Privacy knows about 700 applications and several thousand system leaks storing the user's personal data that can be stolen and used by malefactors. So, from now your privacy will always be safe with the help of this tool. Forget about intrusions and browse anonymously! 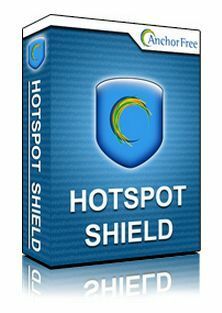 HotSpotShield prevents everyone from knowing your IP address. It redirects your traffic through the chain of anonymous proxy servers. They do not save or transfer information about your IP address and thus effectively hide information about you and your surfing interests. As long as you browse without HotSpotShield you're still at risk! Protect your online shopping and browsing habits today! Spyhunter SpyHunter is an adaptive spyware detection & removal tool that provides rigorous protection against the latest spyware threats including malware, trojans, rootkits & malicious software. SpyHunter's most advantageous feature is the Spyware HelpDesk, which generates custom fixes to specific problems that may be unique to your PC. 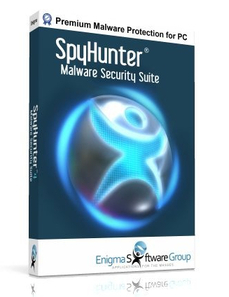 Spyhunter is a very popular program to keep users' PC clean and safe. Spyhumter has a very extended signature base that is regularly updated. You need not bother about the viruses in the system, if you have Spyhunter!